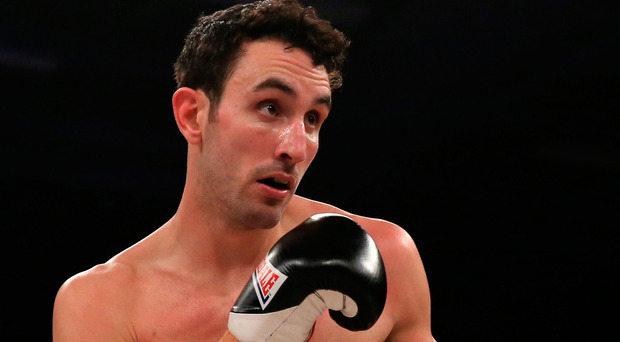 Big Scott Westgarth is another dead body from the boxing ring, another bleak statistic buried deep under the latest avalanche of cosmetic RIP tweets and inane gibberish about his bravery. Westgarth is the third British professional boxer to die after a fight in a British ring since 2013, the latest anonymous sacrifice in a sport that has raised both its profile and its mortality rate in recent years. All three of the dead boxers were unknown scrappers on a distant and often obscure circuit, a fighting land that time forgot. Westgarth and Anthony Joshua belong to the same sport, pass identical medicals and fight under the same rules and are then separated by such vast differences that they are barely recognisable as men from the same business. It might surprise people to know that between 1995 and 2013 not one British boxer died after a contest. Sure, there were injuries, men rushed in and out of surgery, plunged into blue twilights for days until they found the light, opened their eyes and survived to tell their tales. There are many boxing men, victims of invasive surgery, with large dents visible in their heads where removed bone flaps have never quite been replaced; their shattered skulls and broken lives offer as much hope as despair. On Saturday, Westgarth won his fight against Dec Spelman, it went the distance and he was interviewed at ringside. During the interview he was distracted, touched his head and looked increasingly distressed. In boxing terms, he was not right. Watching it back it is clear that he is in trouble. In the dressing room he complained of a headache, the ringside paramedics were called, the rest of the show postponed and the vilest race in sport was on. That was late Saturday night in Doncaster. He died on Sunday and, yes, he did die chasing some type of championship dream, but he was a long way short of that dream. He also died for a couple of thousand pounds in pay and ticket commission. In 1995, Wee Jimmy Murray collapsed minutes away from winning the British title, a belt worth a risk, but not your life. He was pronounced dead two days later. The roll call of boxing's dead is not a thing of beauty. The immediate reports of Westgarth's death were shameful in their bloated ignorance of the most basic of facts, and many of the voices from inside the business were stupendous in their naivety of the simple truths behind such a horror. It is somewhat ironic that 54 years ago the Daily Mirror featured nine British boxing writers on the front cover under a lurid headline: "The Men with Red Faces". Their crime? They had all picked Sonny Liston to beat Cassius Clay. Westgarth had lost two of his previous nine fights, with six wins and a draw; on Saturday at the Dome in Doncaster he was the slight underdog against Spelman. The fight was over 10 rounds of three minutes. It was hard without being savage; Spelman was dropped in the third and, tellingly, Westgarth was down late in the 10th. At the final bell, they embraced: Westgarth got the nod with a score of 95-92. He deserved the win. In the 10th and final round, Westgarth was under pressure, caught, hurt and bundled through the ropes. He took some heavy shots and, when he got back up, the bell rang. The bell saved him from defeat. It was a good fight, one of 48 fights on seven shows in Britain on Saturday night. There was no crazy concern about Westgarth then or during the post-fight interview. However, in the dressing room, paramedics were called, they were instant in their concern and Westgarth was taken for surgery to have a blood clot scraped from his brain. The vigil started, word spread, texts arrived during the midnight hours on Saturday and throughout a dreadful Sunday. It felt like a death long before it was official. I have been at too many death fights, too many nights when men went from throwing punches to hopeless comas. I have been in too many intensive care waiting rooms, the most tragic and pitiful space in any hospital. I could tell from the words of his closest friends that Scott Westgarth would die. In 2013, Michael Norgrove collapsed into the arms of referee Jeff Hinds at a venue in south London. He died after surgery and a battle of nine days. In late 2016, Mike Towell was stopped in a brutal fight in Scotland and died a day later. Both were unbeaten, inexperienced and not ruined by a life of hard fights. Westgarth joins them as a mystery death in many ways. It makes no difference whether he was the survivor of 100 ring wars or a nine-bout novice. A death is a death, even one that makes absolutely no sense. And in boxing, no death ever makes sense.